What an amazing Monday! I had a morning filled with sewing and then an afternoon full of fantastic fabric finds! I will try to get everything cleaned, prepped and ready to cut so there are some new colours sewn up for you in my booth on Saturday. Many of you can recognize the distinctive shape of a Sugar Soul cloche, but did you know that I make several other styles? 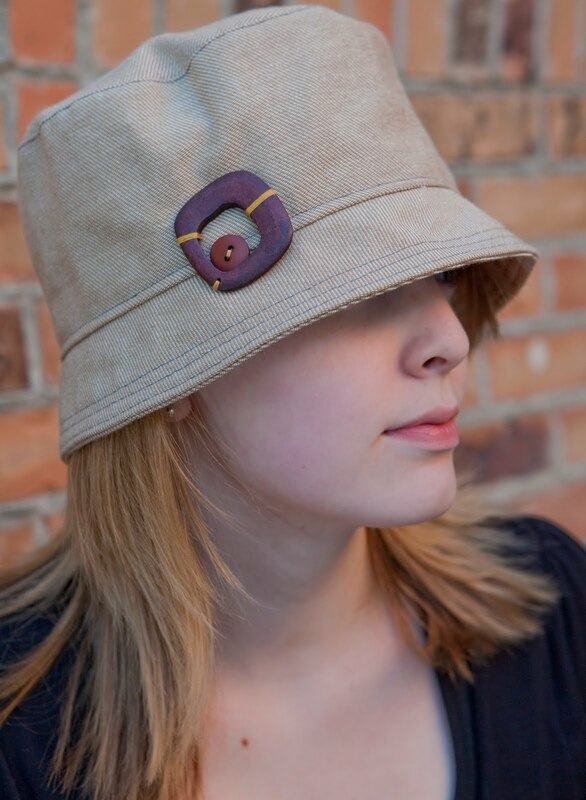 Joining the universally flattering cloche in this summer's line-up are two versions of the military cadet, my original corduroy baseball cap, flat caps, and bucket hats, such as the one pictured here (Timeless Edge Photography). This bucket hat brim looks great flipped up at the back, too! Upcoming markets for Sugar Soul are the City Market this Saturday, July 10th, from 9am -3pm, then the St.Albert Farmers' Market, Saturday, July 17th, from 10am-3pm. Please take note St. Albert! This will be my last date with you until, dare I say it, the back-to-school-market September 4th. Come out and get your summer hat while you can!